Time commitment: there is about 20 hours of planning & communications that will occur between December and January. DONATIONS COORDINATOR: 1-2 volunteers - 1 volunteer designated to collect and coordinate all the donations received. Optional: 1 person to solicit donations from local businesses. SET UP: 2-4 volunteers - You will need about 2-4 volunteers to help with setup the day of Bingo. Family Bingo takes place at the Highland Drive School Cafeteria on Friday evening, so you need to double check with the custodian as to when you are able to start setting up beforehand. Generally, 3:00pm should work OK, but depending on volunteer availability it may be later. REGISTRATION: 1 volunteer – 1 person should be assigned to gather all the registrations and money. A guest list needs to be kept for registration check in and for the raffles (one raffle ticket per family). Each family is automatically put into the drawing for the raffle prizes given out the night of Family Bingo. The amount of raffle prizes are based on items donated. REGISTRATION TABLE: 4 volunteers -2 volunteers for the Registration Table, plus 2 additional volunteers (can be older kids) to sell extra sheets. FOOD SERVICE: 4 volunteers - 2 for food, 1 for beverages before Bingo starts, plus 1 at the break. CALLER: 1-2 volunteers– only one caller is needed. However, if you'd like to switch it up and have 1 caller the first round and another the second round, you would need 2. CLEAN-UP: 4-6 volunteers - the more you have the quicker you get done. Send out an initial email to the committee reminding them of the date and times for FAMILY BINGO . Ask for a preference of which area they would like to volunteer. 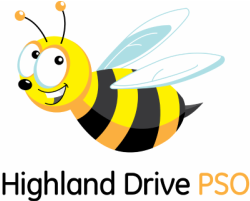 Go online to the board website and reserve the Highland Drive School cafeteria. Reserve bingo cage with Taylor Rental. Send flyer out asking for donations of Bingo prizes. This can be done in the beginning of the school year and after Christmas. After Christmas is a good time to send these out. This allows people to donate their unused stocking stuffers. Email volunteers with assignments and when they should arrive. Notify the custodian(s) to request the door to be unlocked. Also let them know how many tables and chairs to have set up, request a microphone, overhead projector, projector screen, cart for overhead, dollies (for prize and pizza deliveries), approx. 8 large garbage cans and to let them know what time we will be wrapping up. Send a memo to art teacher to borrow markers and crayons. Send out Family Bingo registration form and get the information on the website. Contact local food establishments for food or beverage donations (Chik-Fil-A in Macedonia donated Iced Tea gallons, and Angie's pizza donated three gift certificates for a Free pizza since we ordered our pizza from them). Buy paper products (check in storage first to see what we have) and beverages. Make signs: Raffle sign, registration sign, door signs directing attendees to the cafeteria. Buy ring pops or glow sticks or similar treat to hand out to kids at the door. Continue to gather the remaining registration forms. Gather Markers and crayons or borrow from Art Room. Print fun coloring pages and word searches to put on all the tables. Print Bingo instructions for all the tables. Confirm Bingo Cage rental with Taylor Rental. Email volunteers reminding them of their assignments and arrival times. Confirm with custodians all items needed and finalize amount of tables and chairs needed.